Vintage sophisticated bugle bead embroidery by Edward Arsouni Couture. Look outstanding in this boat neckline ¾ length sleeves Edward Arsouni couture. This dress was made to show your elegant side. Gorgeous full length silhouette evening gown complimented by delicate bugle beads and embroidery. . Wear Edward Arsouni to any one of your special occasions and be the center of attention. 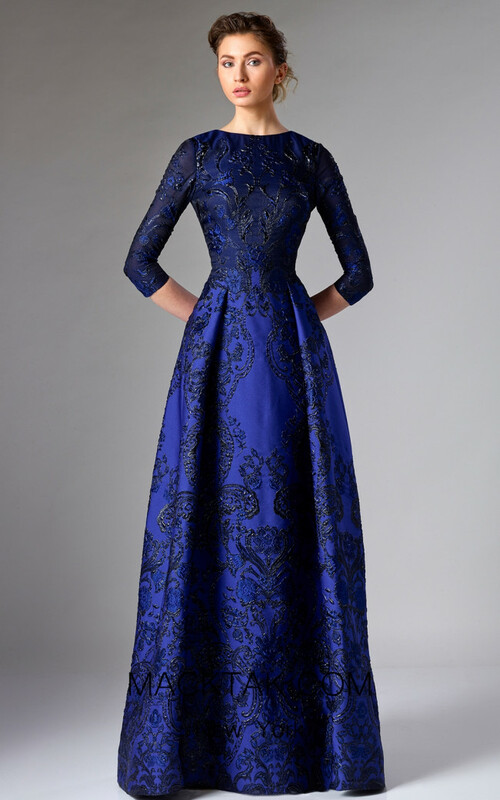 MackTak collections of evening dresses are the most exquisite and favorable dresses you will see. Let MackTak help you choose the perfect dress for you so everyone will be left restless to know who you are wearing and where you purchased it from, while making this event become one of your most memorable experiences.